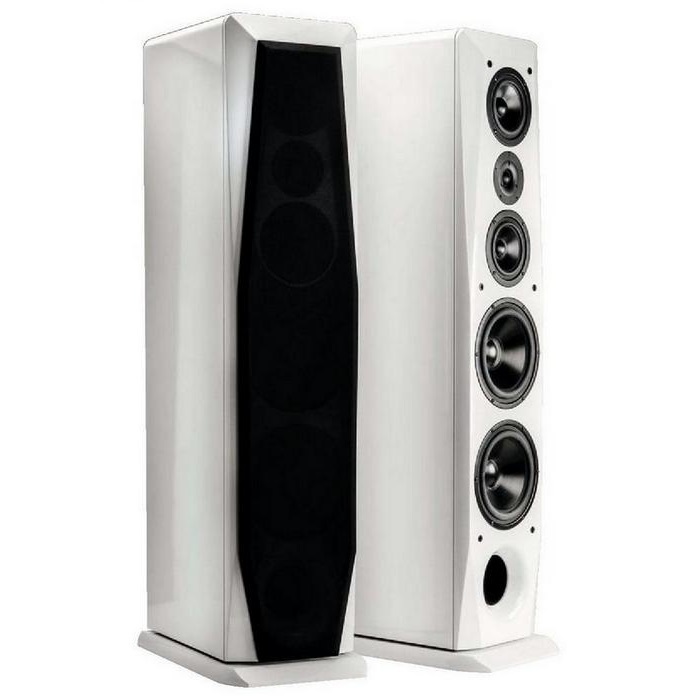 Giant FS-100 Milano – it’s a speacial modification of Giant loudspeakers for the Italian market. It consists of two 200 mm bass drivers in one enclosure ported to the front. Moving up are two 125 mm midranges and one 25 mm tweeter. All cones are paper-based, and manufactured using a special process, exclusive to RRR that dates back to the 1940s. This involves using a special cellulose made from hundred year old Spruce trees to obtain fibres of a very precise nature. Available finishes: piano white, black, glossy veneer (mahogany).